To this day, Ashes of the Singularity: Escalation is still receiving balance updates. You may be wondering - since Ashes is not a competitive game like StarCraft - why there is all of this effort being put into balance. There can be a misconception that balance is esoteric and only matters to high level players, but I don't think that's accurate. Today I'll be exploring why balance matters for all players and how it's crucial in making an RTS fun. The first thing to talk about is the intention behind balancing. What does “balancing” even mean? Ostensibly, it means to make the game more fair for each faction, staying as close as possible to a 50/50 win rate. Ensuring the factions are balanced is certainly important, but that’s only a small part of what I'd consider the umbrella term of "balance" to include. I'd define balance as any change to the performance or utility of units and other game components. Balance isn't just about tweaking numbers, it's about envisioning and guiding player interactions while providing them with more opportunities to pursue their favourite strategies. Adding new features or content is a great way to make an RTS more fun, but they're expensive from a development perspective, and additional content is pointless if it’s not balanced properly. What would be the point of having 30 units if only 10 of them are useful? There's potential downsides to having too much content; it can be overwhelming for new players to learn, it can lack visual clarity and can make decisions feel meaningless. "Does it really matter which ones I build?" Let’s back up a bit here. To understand why balancing an RTS game is so important, one must first begin by understanding what it is that makes RTS fun. Fortunately, I’ve done an entire series of video essays investigating this question, but let’s boil it down and say that the fun of RTS games is the act of crafting, refining, and executing strategies. Having to gather information and make quick decisions against your opponent is also part of the fun. 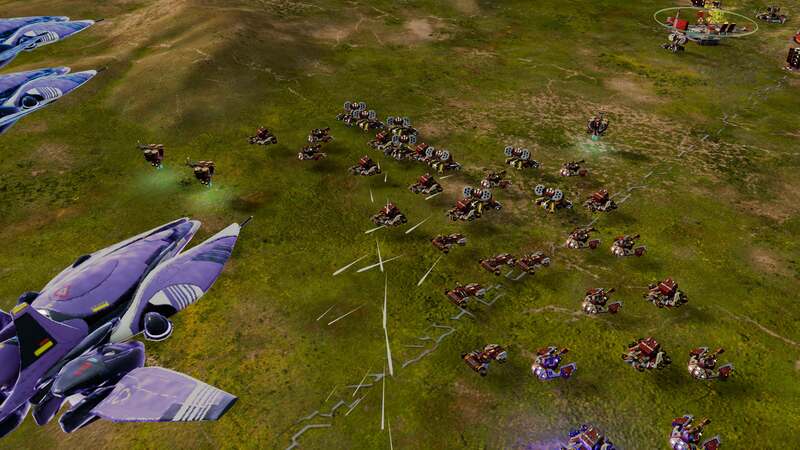 RTS games contain a wide range of tools which manifest as units, upgrades, and abilities; it’s up to the player to piece these tools together in ways that form powerful strategies such as unit compositions, timing attacks, and build orders. It’s not the number of tools the player has which makes the game engaging - it’s the amount possible combinations that can be fielded. Atlas Frigates don't cost Radioactives and provide anti-air support for the Hades. Let’s pretend that the Atlas is underpowered - what would happen? The player would send their Hades in and be met by enemy air fighters, and the Atlas would open up and not do enough damage to destroy them before the Hades are shot out of the sky. The strategy is void because the premise of the Atlas frigates providing adequate anti-air support is false. The player can try to find alternatives such as Apollos and Furies, but those don’t offer as much synergy because they also cost Radioactives. The strategy needs to be discarded, which is frustrating for the player, as they spent all this time crafting it only for it fail for reasons which are not faults of their own. They are cheated out of their strategy due to poor balance, and this disconnect between the expectations of a unit and how it actually performs results in a negative experience. Poor balance takes away the agency of player decisions as it puts up barriers and limits their strategies to a narrow band of what’s viable. Pursuing even a simple strategy contains lots of depth, but if the strategy is countered by an imbalance then there’s no way to respond to it. A unit just doesn’t perform its intended role, or an overpowered unit prevents another from doing so. Obviously, imbalances are bad and things that are under-performing or overpowered should be fixed, but that's still a shallow view of why balance is important. Balance isn't binary - units are not just either balanced are imbalanced. A "balanced" unit can be defined by whether it performs its intended role, but if that's the only criteria then you'll end up in a bland game of units that do nothing more than fill predefined roles. Units should have multiple facets that determine their utility and why a player would want to build them. The Archer is a unit designed to counter the Athena, but they're embedded within a more detailed context. The Athena is a cruiser which costs both Metal and Radioactives, while the Archer is a frigate which only costs Metal, allowing it to be used more flexibly to complement Radioactives-heavy strategies or to burn excess Metal if your Radioactives income suddenly drops. Frigates are also considerably faster than cruisers, which makes Archers useful as a nimble form of harassment. Archers have high damage but low health, which makes them great against buildings, but vulnerable versus Orbitals and area of effect damage. Meticulous balance creates a richer setting for discovering strategies and for reacting when things don't go to plan; if a player's strategy gets countered they might still have a wide arsenal of tools that can perform other functions instead of just being made obsolete. Expanding the utility and unique qualities of each unit may create some balance issues in the short term, but if fixed and iterated upon it will make the game more compelling in the long term by maximizing what players can get out of it. A small amount of content with a breadth of utility is better than a large amount of content with limited utility, and the determining factor is how thoroughly they're balanced. The more you can do with less the better. Curbing out underperforming or overpowered units is crucial to maximizing strategic diversity, but good balance doesn't just make an RTS game "more balanced." It emphasizes the unique qualities of each unit and ability, creating more depth and decisions about which tools are used and how they're used. I love the analogy of RTS as a set of tools for players to utilize because it encourages design of units that have unique qualities, allowing players to field them under many circumstances for various reasons. Flexible RTS design allows for flexible decision making from players, and meaningful decisions broken up into small increments is at the core of what makes RTS games fun. Balancing an RTS is difficult, and one of my next Journals will be exploring the challenges I have faced during my work on Escalation. So what did you think, and what else would you like me to talk about? The air/anti-aa interaction in ashes is one of my favorites. Functional air-support means you can attack into air superiority. It also means that the air battle is not all binary and about air strength. You can fight on the ground in order to bring your aa-support in or drive their aa units out. Yeah, but hope springs eternal. Ashes has the potential to be a much better game with a little further development -- meaning better than the amazing game that it already is. And while it is not (yet) "competitive" in terms of global leagues and hundreds of thousands of simultaneous players, I think it has an increasingly decent multiplayer community -- which is more than I can say for most other games that are a year old. I've played some very good matches with other folks online. Competitive is very fun, and cooperative is amazing (especially on large maps, against decent AI). 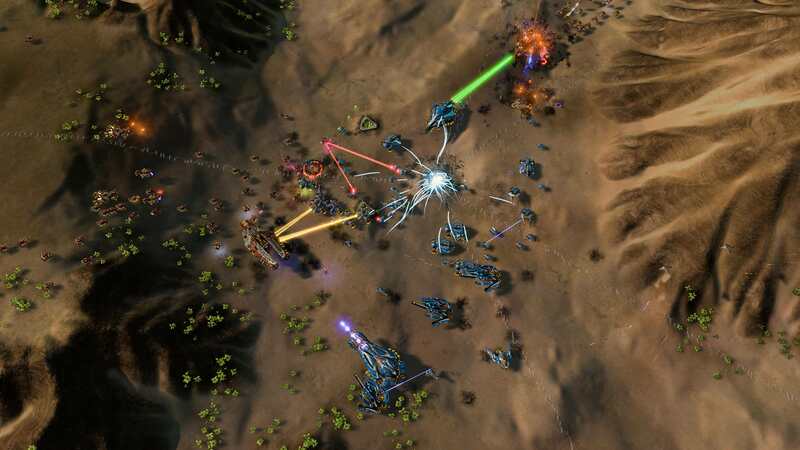 Ashes of the Singularity: Escalation is still receiving balance updates. Balance is surely critical to all forms of play, online and offiline. The entire community is certainly happy the game is getting this love. The more you balance, the more of a future this game can have. I hope everyone who loves Starcraft II and RTS sees and reads your post. It is important for folks to realize that Ashes has a reputation as a balanced game. It means strategic diversity and fun, and this is what attracts players. If you haven't tried this yet, you're missing out. PS. More. Unit. AI. ... will make a difference too. "So what did you think, and what else would you like me to talk about?" I would like you to talk about the third race we all know you've got planned. It is incredibly doubtful Ashes will ever be a game like Starcraft. People flock to Starcraft's multiplayer because it's quick - most games average just 12 minutes in length. Ashes is a big, strategic-leaning RTS, games go on for quite some time, so you'll lose a lot of the e-sport hopefuls right out of the gates. And personally, I wouldn't want them to go in that direction anyways. Ashes is a fantastic game to play on your own, or with friends. I wouldn't want it to compromise that in order to chase a pointless ideal. Yes there is little mandated micro, but there is frigate harrass, splitting armies to defend, and controlling air. I think playing Ashes actually improved my multitasking. I People flock to Starcraft's multiplayer because it's quick - most games average just 12 minutes in length. I don't think that's a fair assessment. People flock to Starcraft's multiplayer because of its immense strategic and mechanical depth, an endless skill ceiling, meticulous design and superb balance. I think game length has little to do with it, Dota and League of Legends games go for ~40 minutes on average. Yeah, especially the new team game maps feel fast to me, despite the Medium size of the maps there is so much resources and regions to fight over and saturate. There's a lot going on and to think about, but not in an APM intensive way like StarCraft. I think we have strayed from the OP's intentions, so maybe we should do this in another thread. Sounds like we are definitely starting to move into the realm of debating what an "esport" is / not. Pointless ideal. Hrm. Not sure what that ideal would be. Not sure I understand you. 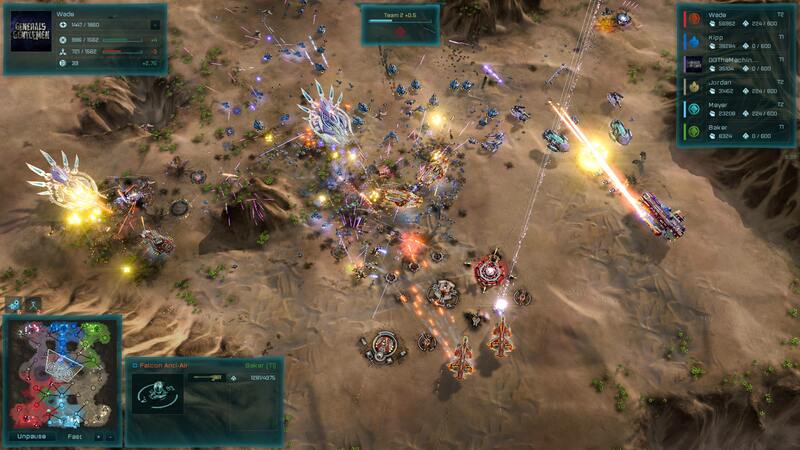 I do see Ashes as a clear extension of predecessors like Starcraft in some ways. It relies on many conventions that have become core to RTS over the years (resource mining, unit maneuvering, etc.). But Ashes takes it to the next level IMHO. It goes from being a 10 minute experience, to one that can continue for more than an hour, or occasionally much longer. It's next generation type stuff -- taking the "symphony of stuff to do" from starcraft, and then delivering more of it, for longer, in each sitting. I would absolutely agree it isn't short or casual or APM obsessed -- and should NOT head in that direction. But I don't really see what this has to do with being an "e-sport." Maybe I'm nuts, but I don't think these things are integral to top-quality competitive gaming. What I DO want, is for the game to achieve the same level of attention, fame and notoriety as Starcraft. I want it to have an equally devoted and reputable international competitive community. A vibrant and active league. These are the things that truly characterize an esport, in my opinion. Sure, I very much agree that Ashes is significantly different than other esport titles. However, in my opinion, this is hardly a deterrent to making it an esport. While delivering a different sort of experience, it still demands considerable skill and intelligence. It is still incredibly fun and engaging, with incredible competitive potential. I frankly see it as an increasingly more "mature" version of RTS, for players with more serious and discerning taste. It feels AMAZING to beat the pants off an opponent with clever strategy and tactics in this game. I would go so far as to suggest that I have NEVER felt the same level of tension, accomplishment or satisfaction in starcraft. Well, THAT is a win you remember. That is the basis of starcraft-quality competition that everyone needs to experience at least once. This game plainly does it better. And I think this is where the game stands itself up and distinguishes itself as something new. It is fully capable of delivering rich, robust, serious, and thoughtful competition over a longer period of time. NOT just a meaningless 10 minute romp in the hay. There is no reason for this game to merely live happily among groups of friends. It is something more special, and I do think that if it continues to expand and round-off some of the sharp corners, it will be a masterpiece for the competitive community. It's almost there IMHO, but some of the controls and unit AI are not yet quite perfect. I was a Starcraft 2 lover. I never thought I would stop. But... here I am, and not looking back. TL;DR: You probably don't deserve this game. If you can't read 20 sentences, you shouldn't be playing a game like this. It is for people with an attention span. Go learn to read. Come back when you're a little older and more patient. Then youll appreciate Ashes as esport. PS. The only thing better than competitive Ashes is COLLABORATIVE team Ashes. We agree on this point too, I think. PPS. You can't do competition while some units are acting like twinks; nor can you have top quality competition when units are occasionally ignoring commands. Fix the unit AI. Improve some of the controls. Let us pay for it. Power of cheese and pre-determined timing attacks are reduced due to strong static-d and reinforcement time. Scouting is accessible, but there is a lot of relevant information (static-defence count, army position and composition) and it takes game knowledge and experience to be able to process that information and decide on what to do. More varied maps. Maps have a greater immediate effect on strategy. Composition can be ever shifting, creating a seperate mini-game here you try and produce and deploy the right troops to the right location. Basically Ashes, aside from the standard rts concepts, encourages active scouting and constantly adjusting in order to defend and gain an advantage. Also because production and map objectives are spread out on the map, there more distinct cases that require slightly different response from the player. Even the distribution of static-d can differentiate two players. I agree all with , but you guys DON'T FORGET one FUNDAMENTAL DIFFERENCE from Starcraft. Ashes was built for to follow the path, what Total Anninhilation laid back, and later SupCom followed, and much later the path divided for that abomination what we call Planetary Annihilation now (Sorry, im still angry with UBER, even the Titans can't soothe my anger..), and Ashes. And that difference is the speed up everything until your resource holds. Can you speed up worker & unit & building production in Starcraft ? Nope. Can you repair everything ? Only the Terrans can do that... Can you boost your existing resource production? Nope. Just try and find another resource pool.. Path of CC: Dune series, C&C series, Red Alert Series, Tiberium/an series. Theese 4 paths DEFINED the RTS genre.. Such good old days..
Ashes is no doubt more akin to SupCom, Total Annihilation, etc... than StarCraft, but those words about 4 main RTS paths in the 90s are rather random. Not only say WarCraft 2 is IMO actually more similar in gameplay to CnC series than to WarCraft 3 (or at best its equally different ), there were other great and influential RTS games, which formed the evolution of the genre. On another note, Ashes is never gonna become e-sport like StarCraft, because its boring to watch, as the result of its big scope and zoomed out camera. E-sports are equally about gamers/players as about viewers and honestly, i dont see people watching Ashes matches. There is nothing wrong with that though, StarCraft might be the top e-sport RTS (or maybe only one? ), but never in a million years i would call it the best one. Obviously, that´s subjective. On another note, Ashes is never gonna become e-sport like StarCraft, because its boring to watch, as the result of its big scope and zoomed out camera. Zoomed out camera... what the heck are you talking about?! Ashes has better zoom capabilities than pretty much any any other game I've ever seen! It can go all the way down to individual unit level! You know exactly what i mean and that i am right about this. Most people want to watch action. Which in a smaller scope game like StarCraft comes sooner. The viewer´s excitement does not come from "oh, he built another quantum archive", nor "he decided to go air", it boils down to "look at him roflstomping enemy army with casting the right unit ability at the exactly right moment". "Much to watch" is not as important, the viewers cant focus at zillion things at once anyway. Regarding zoom capabilities - they are totally irrelevant, if the streaming players keep the camera zoomed out to the point that the units are few pixels wide, in order to have good overview - which is obviously needed - most of the time. I did not say its worse game than StarCraft. Nor that its more boring to play. I admit i am not that big fan of it, but neither i am too fond of StarCraft, which at least makes me not biased either way. And i would say the same about Sins (that its more boring to watch than SC), even though that one i actually like a lot and believe its 10x more fun to play than SC. I have one word for you: Golf. It only happens to be the second most popular sport in terms of viewership, right? I'd speculate there is a lot more going on there than just "action." Yeah, to make it watchable and interesting, streaming and commentary would definitely need to be done from a free-cam observer mode. But ashes has this, right? I love both games. I've clocked WAY more hours (literally thousands) in Starcraft 2 than Ashes. Even so, I happen to love ashes more. I think Ashes starts slow, and gets gradually faster. Many matches actually end in ways that are pretty tense, over a long period of time. I think most people would dig this speed. It gives plenty of time to talk (commentator chitchat on player history, cutaways to interview clips, etc. ), a comfortable period of escalating tension, and then finally some time to say, "Oh wow" -- salted with moments of harassment tactics throughout. Potentially a pretty decent beer drinking exercise, if you ask me. And yet.. slow enough that people can actually UNDERSTAND and appreciate. Oh no, right: They skip all that because people do want action, as Timmaigh said. And that's exactly why something "lighter" like Starcraft will always be more popular in an e-sport setting compared to Ashes. There's a lot of "lead time" to Ashes, which would akin to watching the golfer walking between holes for several minutes at a time. Starcraft on the other hand is usually very quick, and very easy to track. I much, much prefer Ashes method of playing (Akin to how I much preferred Total Annihilation to the first Starcraft), but let's not kid ourselves here: It is not suited to being an e-sport. It is not suited to being an e-sport. I actually disagreed with most of what you wrote. There are lots of ways for a broadcaster to deal with the down time, and that is really the point. As to ratings.. yeah, I might have got that wrong, but that page you cited has to be based on international ratings, as opposed to U.S. stats; In the US, there is absolutely no way that soccer is #1; No way at all; Call me ethnocentric, but my comments were made in context of U.S., so that MIGHT make a difference. Either way, the point remains that golf (and ashes) can be watchable. ... and highly strategic and competitive. Note that the last page shows that the biggest single sporting events were football, baseball, basketball, and... golf. Tennis, hockey, soccer, rugby, cricket, etc. didn't even make the top 50 in the US. I dunno, I am definitely no expert on this stuff. Just sayin.